Earlier in the season we started seeing a lot of hopper burn. 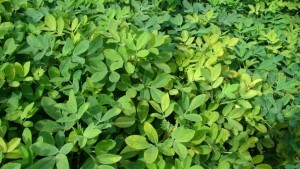 Hopper burn will appear as yellowing of the tips of the leaves. This yellowing can be very dramatic when infestations are heavy. 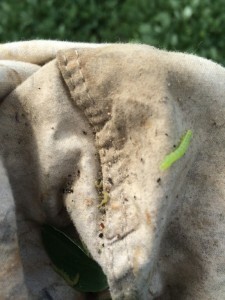 Keep in mind that the burn will not go away over night once the insects stop feeding. This means you should confirm that potato leafhoppers are still active in a field with hopper burn before making an insecticide application. 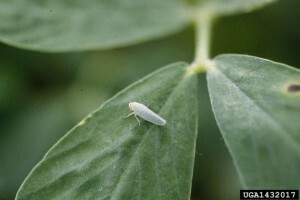 There are no validated economic thresholds for potato leafhoppers. The presence of adults and nymphs in the field means that reproduction is happening, and populations are likely to grow. We do not want to be too aggressive with this pest, especially in hot dry conditions where insecticide sprays could trigger secondary pest outbreaks. Nevertheless, we do want to prevent severe hopper burn. 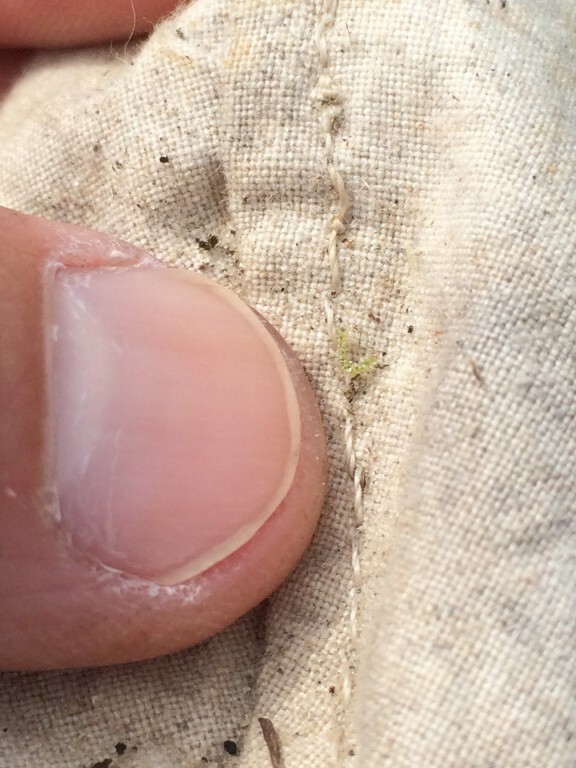 Other insects are also starting to increase in peanuts. Below are pictures from a sweep net I use. 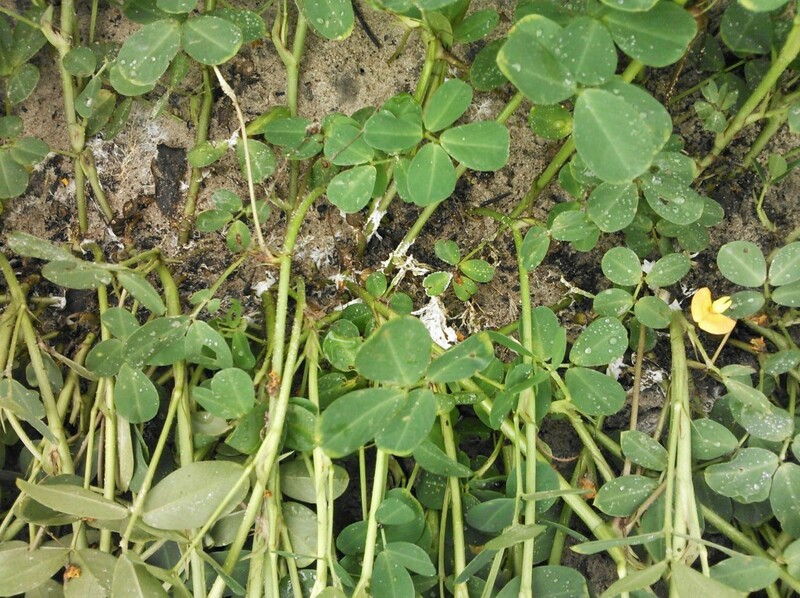 Most are clover worms, some velvetbean and loopers. 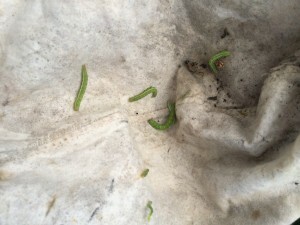 I have found a few armyworms, but nothing to panic about. 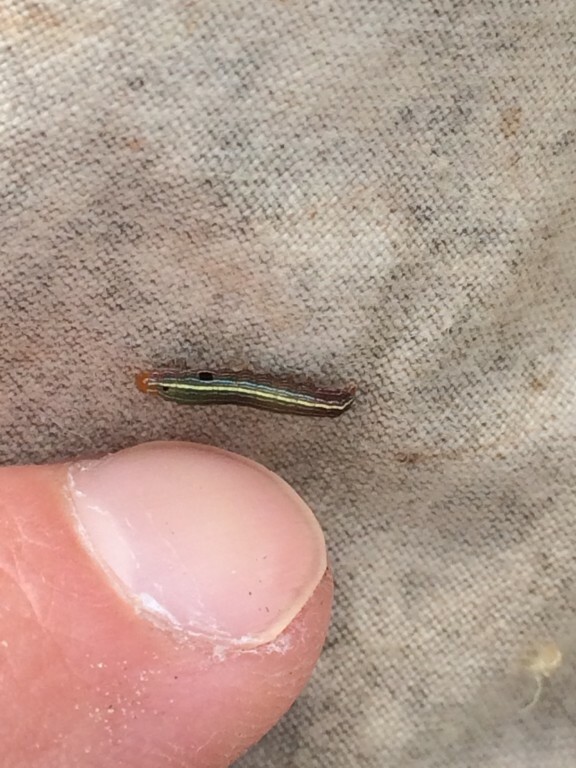 You can see that these worms start off very small. You’ll miss them if you don’t look close. Threshold treatment for foliar feeding insects is 4 to 8 per foot of row. 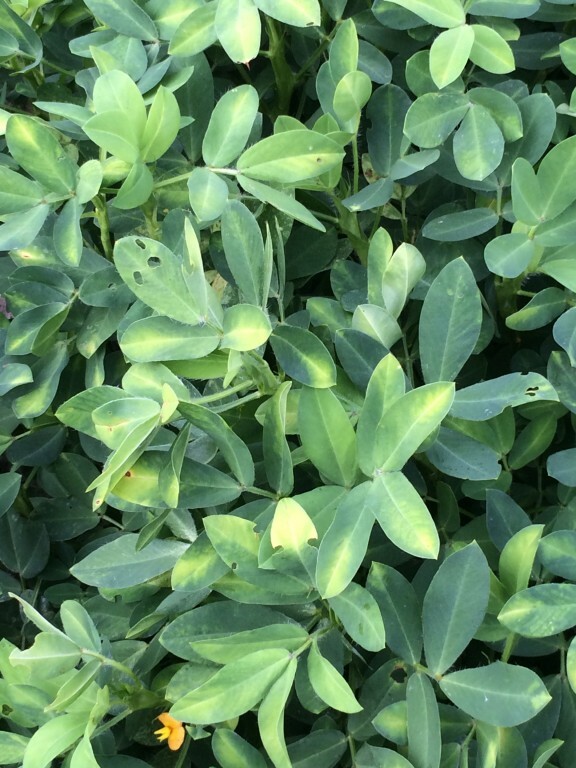 High soil pH levels often result in manganese deficiency in peanuts, especially if soil levels of Mn are low. 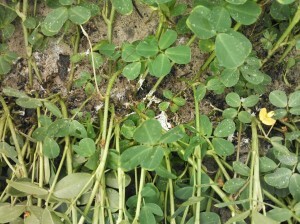 We see these symptoms especially in parts of fields where lime was dumped in bulk. A broadcast spray of manganese is warranted if Mn is deficient. 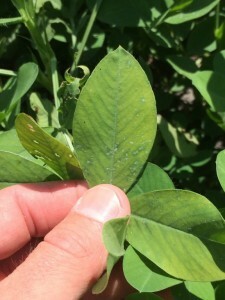 The University of Georgia recommends using 1/2 pound Mn per acre as manganese sulfate or 0.15 to 0.25 pound Mn per acre as chelated Mn in 20 gallons of water per acre. 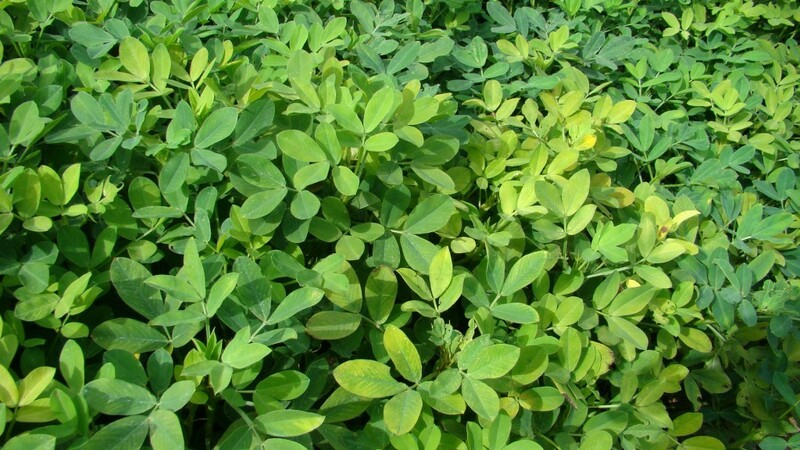 If symptoms persist, the spray should be repeated at 2 week intervals. In most cases, multiple applications will be required. 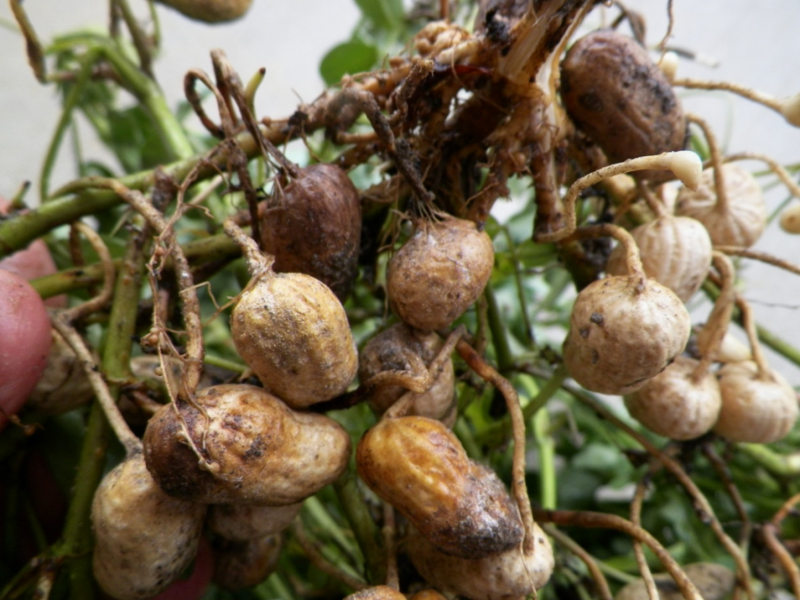 Keep in mind that other things can cause yellow leaves in peanuts. Increased chances of rain and continued hot temperatures further the risk for white mold in peanuts. Underground white mold has been reported in our part of the state. The below picture is from Emanuel county. 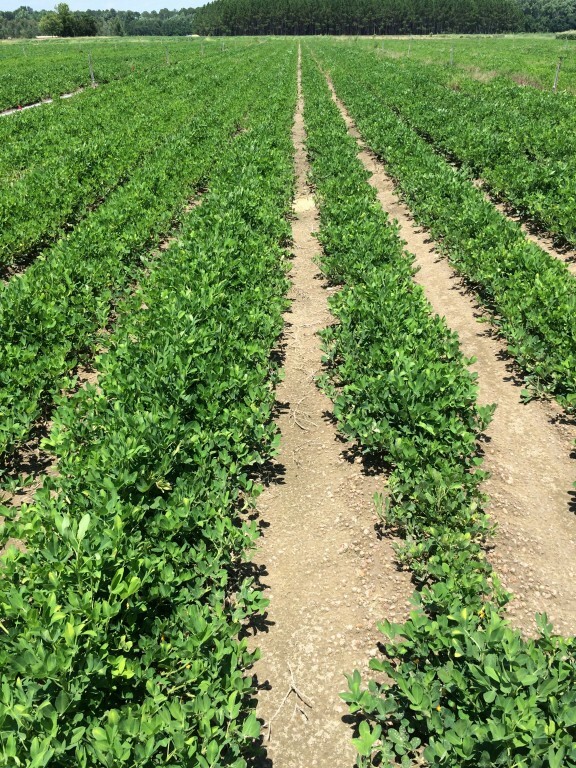 Stay on schedule with fungicide sprays. 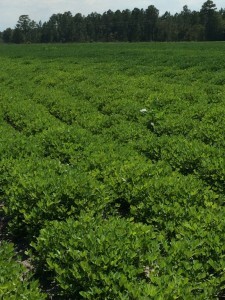 White mold is starting to show up in fields. GA 12Y on the left and GA 06G on the right. GA 12Y continues to be impressive in growth compared to GA 06G. 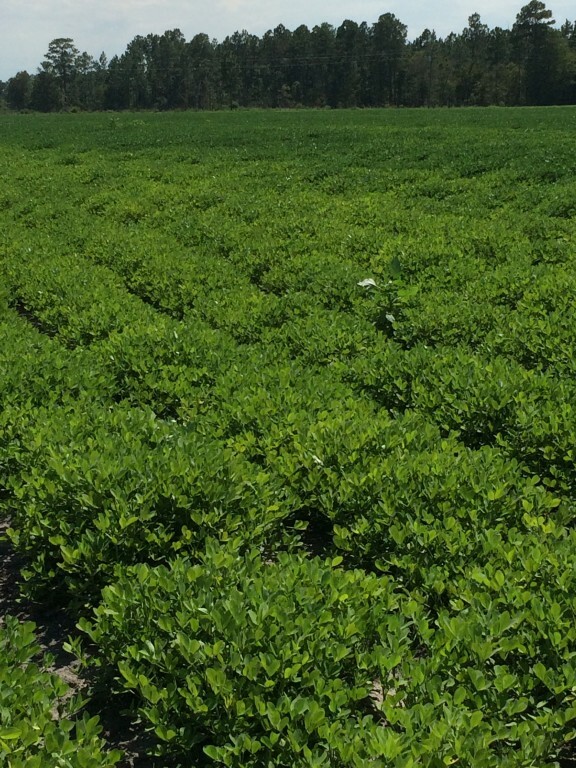 This is a picture from my peanut fungicide trial. It’ll be interesting to see what the yields are. 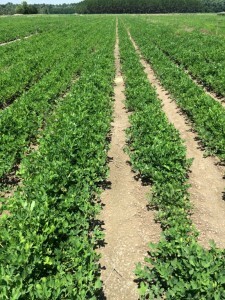 Next: Heat Stress and Corn Pollination. What Happened?